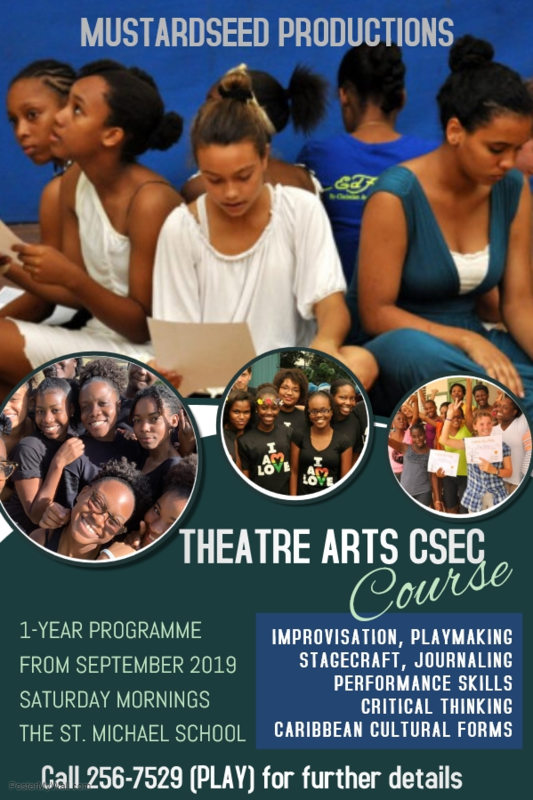 We have offered and taught this course since 2012 to students desirous of pursuing their CSEC in Theatre Arts in one year. While it is an intense year, students have fun discovering, learning and flexing their stagecraft skills. Our track record of 100% passes speaks for itself with 4 consecutive years of students from Mustardseeed reaching the top ten in the Caribbean for the grades in the Theatre Arts CSEC. 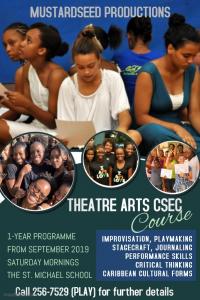 The Theatre Arts CSEC course exposes students to the world of theatre through practical, theoretical, technical and managerial aspects of stage and performance. The course is designed to create awareness and appreciation for Caribbean Cultural Forms – their origins, development and functions in contemporary Caribbean societies. 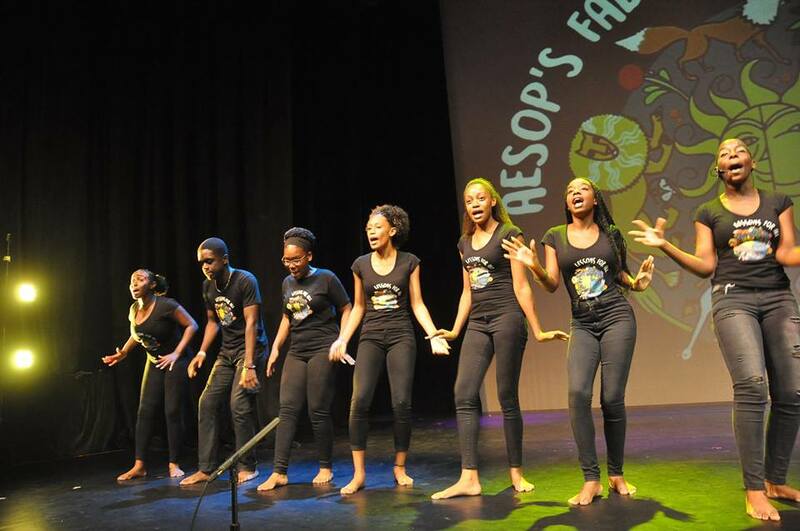 The programme gives students the opportunity to express themselves creatively, building confidence and respect for self and others through group work, scene development, performances and critical analysis. A major tool of self-expression within the course is Journal writing. It encourages reflection and analysis on lessons learnt, personal growth and concerns. It can also be used as a way to document the process for future use. The knowledge and skills obtained in the programme lay a solid foundation for building a career not only in Theatre and the creative industries in general, but also a foundation for any profession which might require self-knowledge, cultural appreciation, communication skills, resourcefulness and creativity. The fee for the course is $400 per term (for 3 terms) or $1000 for the full course.